Alongside the announcement of the huge Mi Max 3 last week, Xiaomi was largely expected to unveil a more powerful Mi Max 3 Pro. 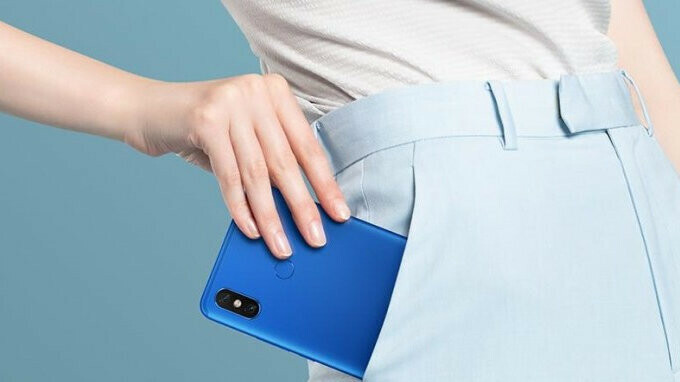 But now, in the hope of clearing up any speculation, Xiaomi’s product marketing director Zhi Zhiyuan has confirmed that such a device will not be released. While the physical aspects of the Mi Max 3 Pro were expected to be similar to those of the regular Mi Max 3, some major improvements on the internal side of things were rumored. For one, the Snapdragon 636 that is included inside the regular model was set to be replaced by the Snapdragon 710. Also, this could have potentially been coupled with 6GB of RAM and 128GB of internal storage. Nevertheless, it was not to be, and Xiaomi is instead concentrating its efforts solely on the launch of the Mi Max 3. For those who may still be looking for a phone of similar dimensions – the Mi Max 3 Pro was expected to ship with a 6.9-inch display – the regular Mi Max 3 offers a similar package. In fact, the only major downgrade is the processor. Aside from this, not much is different. This means a dual-camera setup on the rear is included alongside a huge 5,500mAh battery and Android 8.1 Oreo straight out of the box. Also, a variant with 4GB of RAM and 64GB of storage will be offered alongside a separate one with 6GB of RAM and 128GB of storage. Alternatively, those looking to get their hands on something more powerful may wish to wait for the Honor Note 10 which will make its debut on July 31 in China. Just like Xiaomi’s offering, a 6.9-inch display will be on offer, but Honor’s device will also offer a big increase in processing power thanks to the Kirin 970 SoC which is set to be coupled with 6GB of RAM and 128GB of internal storage. I don’t mind sd 636. Xiaomi is really on a roll lately. Great chipsets, great value. But looking at their TFT screens (example: Redmi Note 5 AI Dual Camera) the vertical viewing angles leave quite a bit to be desired, with the image suffering from dimming when the angle changes. It's IPS screen, Xiaomi always use IPS since their first budget phone, redmi (2013). (except for the last few phone that use AMOLED panel) You can argue that IPS is TFT because it's basically a TFT and also called "super-TFT" in the past. (check this ancient article https://www.tomshardware.com/reviews/tft-guide,116-3.html ) And you should call it IPS, to avoid confusion with the old TN-TFT. No way are they going to use the 710. Considering they milked the SD625 for 2 years straight expect them to milk the 636 well into 2019. Ok, I'm getting a Mi Pad 4 instead and just wait for the tba Mate 20. I know for sure it'll be available on my carrier when it comes out and in time for my recontract.